In a nutshell: The Samsung UE40H6670 is an outstanding 3D-capable TV with above-average picture quality, top Smart TV and connectivity, and is great value in its 40 inch format. Highly recommended! The H6670 is a step up from the H6500 TV, with improved picture quality making it a good choice for the discerning viewer. The key improvements are the addition of micro dimming and a faster 600 CMR. Samsung's Series 6 TVs share a common basic look, with only minor differences to distinguish them. The UE40H6670 is not particularly slim, but has a very narrow black bezel surrounding the screen that gives it a modern, graceful look and makes the screen almost appear to float in mid-air. A thin metal bar positioned along the bottom of the screen lends a premium feel, and the look is completed with a metallic square stand that differentiates the 6670 from the lesser Series 6 models. It's a good look that will fit well in a contemporary or traditional-styled room. 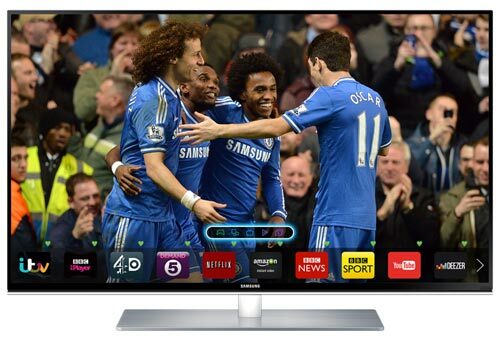 The 40 inch screen isn't particularly large, but is suitable for a small to medium room. You'll need to sit about 10 feet away for best results. The TV comes with a conventional remote control, but also has a pebble-like Smart Control included. The Smart Control uses a touchpad and Wii-style motion control to access the Smart TV functions on screen. 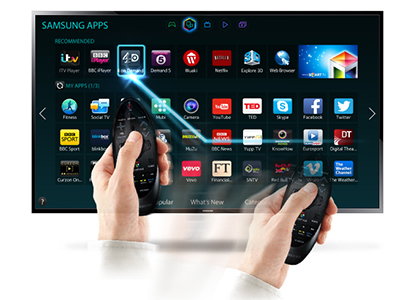 You can also use it to give voice commands to the TV, a feature previously available only high-end TVs. Another feature new to the Series 6 range is a quadcore processor, ensuring that the TV responds fluidly to commands and there are no frustrating waits. Energy consumption is extremely low, at just 50W in normal use, giving the TV an A+ energy rating. In standby it uses just 0.3W. This is a full 1080p HD TV that delivers very sharp images and is capable of competently upscaling lower resolution source material to HD. Contrast ratios are excellent and viewing angles are wide, making this a good choice for family viewing, as it retains its brightness and contrast even when viewed from an angle. One key feature that the H6670 has over lesser Series 6 models is micro dimming. This feature enables the backlighting to be varied over different parts of the screen, dimming the backlighting in places where the image is supposed to be mainly dark and brightening lighter parts. The result is improved contrast ratios, deeper blacks and a more vivid, immersive feel to the images. The Clear Motion Rate (CMR) of 600Hz is also a step up up from lower models, and serves to reduce motion blur to a minimum. Samsung's Motion Plus interpolation function tends to produce a "soap opera effect" in default settings, but set it to Custom mode and make some adjustments to the Blur Reduction and Judder Reduction and you'll soon find a setting more to your taste. Gamers will find this to a responsive screen without much lag, provided that Game mode is selected. There's also a Football Mode, which may get some use during the World Cup season especially. 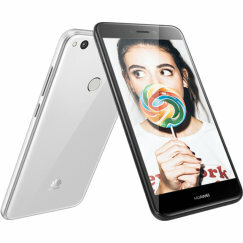 Overall picture quality impresses, and this is a standout model for anyone who values image quality and is willing to spend a little more to get it. 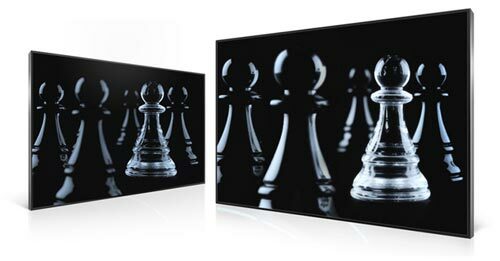 Like all Samsung LED TVs, the H6670 uses active shutter glasses, and with a 600Hz CMR, artifacts such as ghosting and flickering, which can mar active 3D TVs, are minimised. The TV's 3D performance is good, although 40 inches is probably the smallest size screen at which you'd want to watch 3D regularly. The TV is capable of converting 2D source material to 3D in addition to displaying native 3D, but the effectiveness of this will vary. Two pairs of active shutter glasses are included in the sales package. The H6670 provides a similar audio experience to other Series TVs, which is to say that it's acceptable, but not stunning. The TV has full range downfiring speakers, but no dedicated subwoofers, so audio can lack punch in the bass. Maximum power output is 10W x 2, which is typical for a mid-range TV. The 3D surround effect can add a little depth, but overall the audio quality is average for a slimline television. 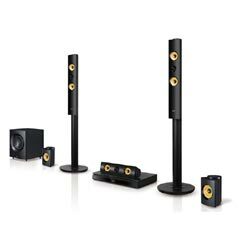 A dedicated soundbar or speaker system would be a worthwhile addition if you are serious about enjoying your movies. Samsung's Smart TV system hasn't changed much since last year, but that's not a problem, as it was already the best system on the market. The interface is very user-friendly, especially when using the Smart Control, and it runs smoothly thanks to the quadcore processor. 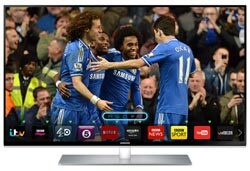 Samsung seems to have covered all bases with their Smart TV apps, including catch-up TV via the BBC iPlayer, BBC Sport, ITV Player, the 4oD service from Channel 4, and Demand 5 from Channel 5. You'll also find staples like Netflix, Amazon/LoveFilm, Skype, Twitter, Facebook and others. The new Games Panel offers casual gaming access to categories including racing, sports, action and family games. The TV guide recommends programmes based on your viewing history. Social media are fully integrated into the Smart TV system, so you can keep up with your facebook and twitter feeds and watch your friends' videos. The connectivity options available in the H6670 are also excellent, with both Freeview HD and Freesat HD tuners plus built-in Wi-Fi Direct, a generous 4 HDMI ports (one of which supports ARC for connecting to an audio system), 3 USBs and ethernet. A range of other connections are also included, making it possible to connect to most devices around the home, including wireless streaming of content from compatible tablets and smartphones. You can even stream broadcast TV content to your smartphone, although this seems like the wrong way around - better to stream video and photos from your smartphone to the big screen we think. The UE40H6670 is a noticeable improvement over the lesser Series 6 TVs thanks to the inclusion of micro dimming, a faster 600Hz CMR and the addition of a Freesat HD tuner as well as the normal Freeview HD tuner. These improvements justify the increase in the recommended price. Overall we have no reservations in awarding this model a 5 star rating. 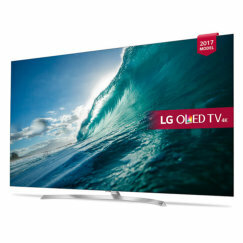 It looks good, it performs well, both in 2D and 3D, and it has outstanding connectivity and Smart TV. Audio quality is nothing special, but the same could be said about nearly every other mid-range TV. What's particularly striking is that the price of the UE40H6670 has already fallen to as low as £700, which is less than last year's Samsung UE40F6800 reached in the post-Christmas sales. We say - snap one up before the price increases! Also be sure to check out the near-identical Samsung UE40H6700. Can I get Google play store on this tv? 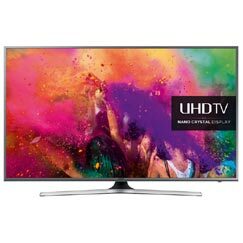 Which Bluetooth keyword is compatible with this tv? I've had this tv for 2 years, it was very watchable and I was very happy until it developed a 6 inch dark shadow across the middle of the screen, then suddenly it covered all but the top 2 inches of the screen. It is currently with Curry,s for free repair even though it is out of warranty, they have been very helpful so far; I did contact Samsung who offered only to pay for the part provided I could prove it was a manufacturing fault so I would have had to pay for an engineers report which they will only accept from their authorised repairer, but I would have to pay for the labour; very big of them!! Hi, I've just found this old thread whilst googling. My tv has just developed the dark shadow across it. It's 2 and a bit years old  Did you manage to get it fixed through Currys? Have had this tv for less than six months not happy with it! It's developed a shadow in the shape of a horseshoe down one side of the screen and it getting bigger, all currys will do is send it off to repair which I'm not happy about why should I be without a tv why they look to repair it? That's without the inconvenience of waiting in for it to be picked up! Will never buy from currys again. This TV is absolutely amazing . Samsung are defo taking over the TV and phone market lol goodbye apple ! I bought a Panasonic but after 4 days I took it back I exchanged it for the samsung ue6670 and what a tv ,excellent picture so easy to navigate around smart hub load of apps .Downloaded the phone and tablet app for the samsung tv and really impressed with what I can stream and control from my devices .Overall the Samsung is way ahead of the competition don't buy anything else. Amazing TV, only ruined by the lip sync being randomly out by a tiny amount to (mostly) 1/2 a second or so. HD does not suffer as much but SD is unwatchable. Firmware updates and adjusting sound options made no difference, sadly will be returning the TV tomorrow. How do i obtain the Lip sycing Download for the above Model? Buyer beware! There is a lip-sync problem with this model (or at least the two that I have tried; waiting on a third.) Samsung say a software update (only available as a download from them) should cure it. Got my fingers crossed the download DOES fix it. On a plus point, the colour is stunning, shame the defective models are still being sold. 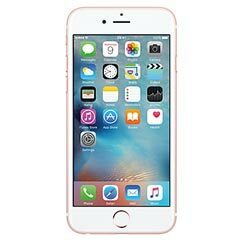 Has the software update become available and did it fix the lip sync problem? Love Film is now called Amazon Prime Instant Video. As of June 17th 2014, Amazon instant Video is available for all sizes of TV in the H6670/H6700 range. is you tube available in the H6670 range? I read in other forum that samsung smart hub does not include you tube now.